On sale! 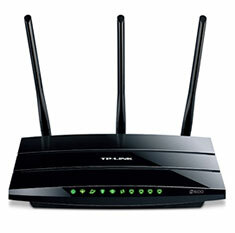 (normally $99)Simultaneous Dual Band - More Bandwidth, Less Interference. You can run day-to-day applications like e-mailing and web browsing over the 2.4GHz band at 300Mbps, more latency sensitive tasks like online gaming or HD video streaming can be processed over the 5GHz band at 300Mbps - all at the same time.